Chefs from around New York State as well as producers of apple vodka, honey, wine, beer, cheese, and jam provided samples of their products to draw media attention to the farm fresh products and cuisine throughout the state available to locals and visitors. 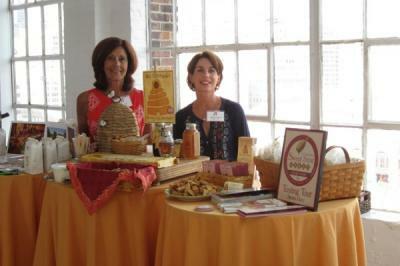 Meg Vanek, executive director of the Cayuga County Office of Tourism teamed up with Stephanie Williams, owner of Bee Attitudes Honey to promote their all-natural honey with a ‘honey from the hive’ tasting and the Finger Lakes Sweet Treat Trail, which features locally grown sweet ‘treats’ including honey, jam, homemade cookies and more. The Cayuga County Tourism is the designated Tourism Promotion Agency for Cayuga County and promotes the County’s attractions, events and lodging establishments. For more information call 315-255-1658/800-499-9615 or visit www.tourcayuga.com.